Whether you are hosting family and friends or traveling to gatherings with loved ones this holiday season, Honeywell’s (NYSE: HON) growing Lyric™ family of connected devices is built to keep your home cozy and your mind at ease. Honeywell Lyric products – from the Lyric T5 Wi-Fi Thermostat and Lyric Water Leak and Freeze Detector to the Lyric Security and Home Control System – make home security, comfort, and control simple whether you are there or on the road. Lower temps can be a crowd-pleaser. Between hectic moments in the kitchen and dining room and all the people moving from spot to spot, consider lowering the temperature more than usual – two degrees for every 10 people. Even though it may be cold outside, body and cooking heat can make normal heat settings feel warmer. Welcome guests with open arms. Hosting that relative who’s always cold? Build scenes and shortcuts in the Lyric app to customize the performance of the thermostat for specific family members or events. Your guests will appreciate the extra hospitality, and you can save the settings for the next time they visit. Sleep soundly while away. Enjoy a holiday vacation on the road while knowing your home is safe and sound. Honeywell’s Lyric thermostats can be set to vacation mode for further cost and energy savings while you’re away. To mitigate potential damage that could result from frozen or burst pipes, place the Lyric Water Leak and Freeze Detector around high-risk areas to catch issues when they start, not after you get home. Shorter commands, longer parties. 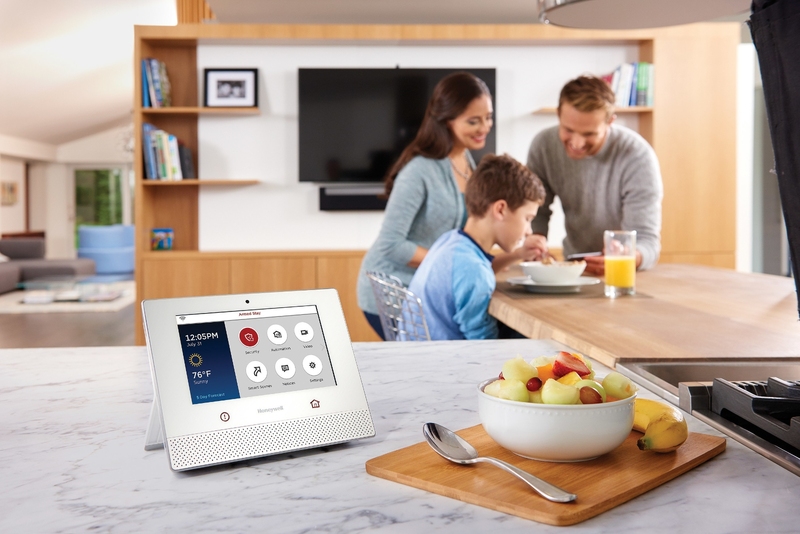 Honeywell’s Lyric Security and Home Control System offers convenient voice control. A simple “Hello, Lyric” can get the home ready for holiday gatherings in no time. Adjust the lights, lock the back door, drop the shades, turn on cameras, and more; the Lyric system means you don’t have to sacrifice comfort for security. Plus, the system’s carbon monoxide and smoke detection provides additional peace of mind. The new Honeywell Lyric Home Security and Control System – the Lyric Controller. Honeywell’s family of Lyric products are also compatible with a number smart home ecosystems such as Apple HomeKit, Amazon Echo, Samsung SmartThings, and others so you can build and combine products to fit your needs. To learn more, visit yourhome.honeywell.com/lyric. Honeywell Home and Building Technologies (HBT) is a leader in the Internet of Things (IoT) and creates products, software and technologies found in more than 150 million homes and 10 million buildings worldwide. We help homeowners stay connected and in control of their comfort, security and energy use. Commercial building owners and occupants use our technologies to ensure their facilities are safe, energy efficient, sustainable and productive. Our advanced metering hardware and software solutions help electricity, gas and water providers supply customers and communities more efficiently. For more news and information on Honeywell Home and Building Technologies, please visit http://www.honeywell.com/newsroom.